The perfect snap clip feltie for all ages! 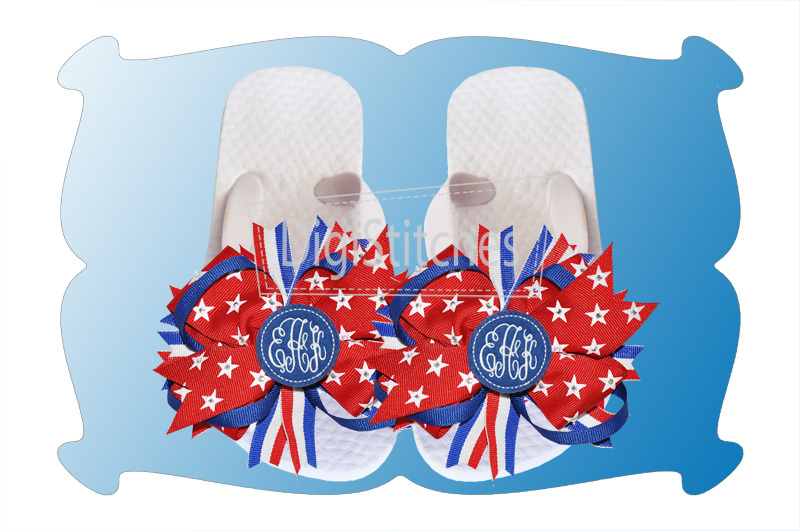 Our circle monogram has so many uses, from clippies, bow centers, flip flops, dog collars, purses, baseball caps and more! Make them in fabric with a raggy edge for even more fun! 3 sizes included: 1.25, 2.00, 3.00 inches. Actual font sizes are .91, 1.45, 2.15 inches. Snap Clip Cover: Fits 2.00 inch/ 50mm snap clips. The perfect snap clip feltie for all ages! 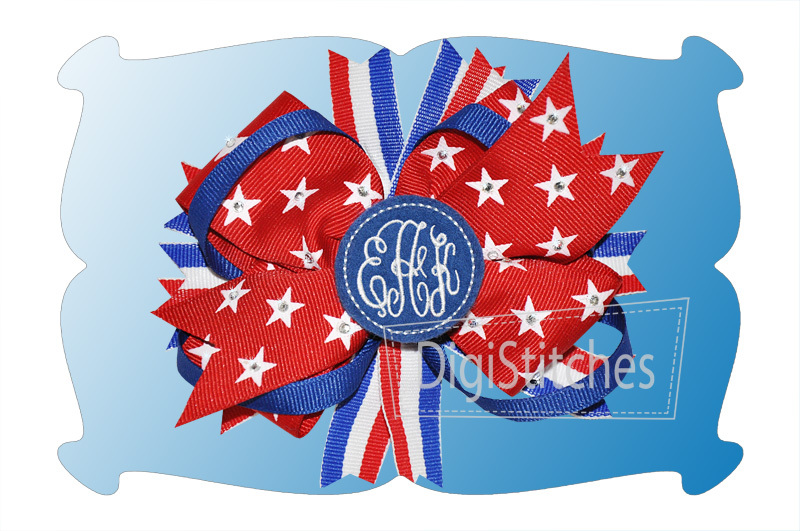 Our circle monogram has so many uses, from clippies, bow centers, flip flops, dog collars, purses, baseball caps and more! Make them in fabric with a raggy edge for even more fun! Important note: You will need embroidery software to combine the 3 letter monogram as shown in the photos. Design files are included to make one at a time with only 3 color changes. 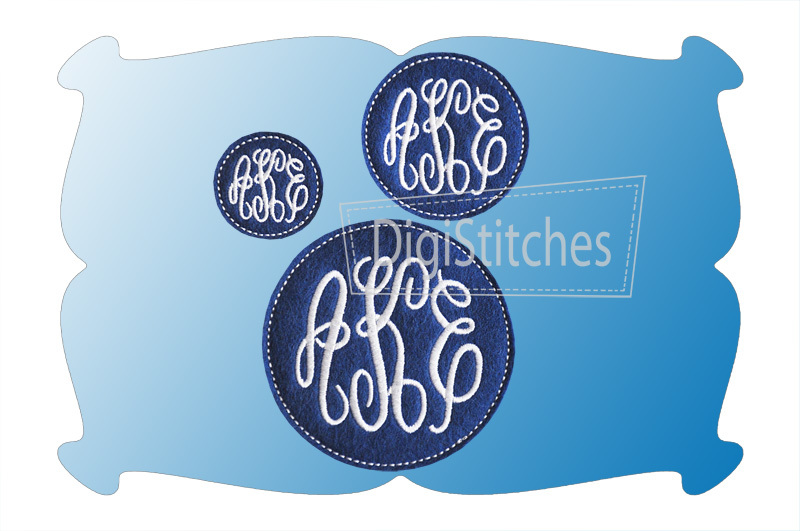 The Circle Monogram feltie comes in 3 sizes: 1.25, 2.00 and 3.00 inches. Actual font sizes are .91, 1.45, 2.15 inches. All sizes inlcuded with your purchase. As always, step by step PDF instructions for making snap clip covers with lots of helpful how to photos included! We've even included basic instructions for setting up the designs in your embroidery software.